I am not the Martha Stewart of automobiles, but I do know this much: Limousines are not classy. 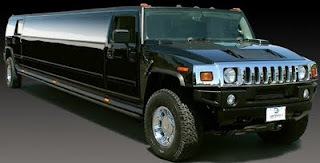 The other day, I saw a Hummer limousine. ... Now, I don't mean to be too judgmental, but I find Hummers and limos both extremely not classy. When they are combined, well, that's just gross.